Everyone loves Fried Chicken, but all that oil doesn't appeal to me. 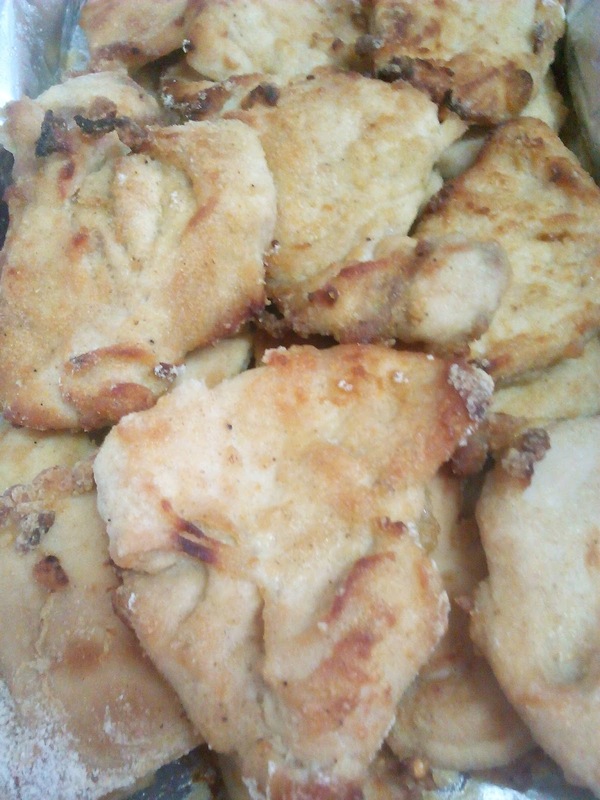 So instead of frying it, I BAKE my "fried" chicken. Mix equal parts flour (I use whole spelt flour these days, but it works really well with whole wheat too) and yellow corn meal with spices (I usually use black pepper, cayenne pepper, parsley, and granulated garlic) in a "ziploc"-style bag, or in a bowl. Coat shnitzel pieces with mixture. Arrange in a well oiled baking pan, "mist"the top with oil, and bake, covered, at 200 C - coating will get all deliciously crispy. Usually done in about 25 min, but I don't use super-thin shnitzel. I do the same with cut up pieces of chicken, without adding any oil to the pan, (tightly covered in foil) only those cook for much longer! I usually leave those for about 1.5 hrs. Deals that will save you money! Have you shopped at echemist? Printable Coupon - Fuze Tea! Reveal Chai - Special Discount! Save BIG when you shop! Groupon Deals you need to see! Reveal Israel - Special Discount! 8 books for $8 for Chanukah!